DANIEL T. WILLINGHAM, PHD, is professor of psychology at the University of Virginia. His best-selling first book, Why Don't Students Like School? 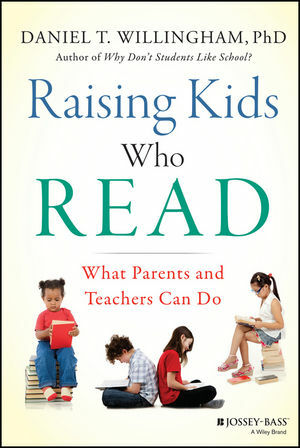 (Jossey-Bass, 2009), was hailed as "brilliant analysis" by the Wall Street Journal and "a triumph" by the Washington Post, recommended by scores of education-related magazines and blogs, and translated into many languages. His most recent book, When Can You Trust the Experts? How to Tell Good Science from Bad in Education (Jossey-Bass, 2012), was named recommended reading by Nature and Scientific American, and made Choice's list of outstanding academic titles for 2013.